How this must have shocked them – Jesus is going away and He will send someone back to help us?! What is He talking about? Who is this Helper? It is difficult for us today to fully relate to their situation because as Christians we all now have this Helper – the Holy Spirit. Imagine walking side by side with the Son of God for three years, seeing all that He did and hearing all that He said. 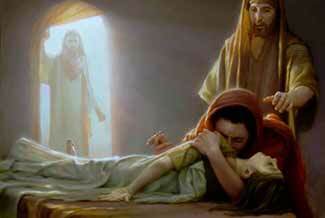 Imagine being there when He raised Jairus’ daughter from the dead (Mark 5:22-43). Wouldn’t you want to be around a Man like that forever? Sure, but wouldn’t it be better to have that Man inside of you, forever? Of course, and that was His point. Once Jesus paid for our sins on the Cross, and then ascended to the Father, He could send to each of us the Person of the Holy Spirit. It is one thing to have Jesus in the boat during a storm but quite another to have Jesus inside of you during one of life’s storms. When Jesus walked on this earth, He was limited to His physical body. He could not be with every one all the time, but through the ministry of the Holy Spirit He can. Instead of just one Christ, there were 120 “little Christs” (that is literally what the word “Christian” means) that came out of the Upper Room on the Day of Pentecost. Today there are untold millions of these “little Christs” running around the world. You are one of them, if you believe it. Jesus taught His disciples as no teacher ever had, but they had very little understanding because they had not yet been born again (I Corinthians 2:14). He tried over and over to show them what they were capable of doing through Him, but they could never fully grasp it. However, after the Holy Spirit came, He could then lead them individually into all truth (John 14:26), and even show them things to come (John 16:13). The list of advantages of having the Holy Spirit within us, as compared to having Jesus with us, goes on and on. The advantages can be summed up in the fact that Jesus’ power is now complete and open to all believers (Matthew 28:18 and John 14:12) and is no longer confined to one physical body. Now, it is up to us to find out what it really means to be ‘in Him.’ To find out how each of us can allow Jesus to walk, talk, and work through us – through the work and gifts of the Holy Spirit. And Jesus did not mean for this indwelling of the Holy Spirit to last for only a few years. That would not be helpful to all of us. No, the Holy Spirit’s work is still fully available for each and all of us today. Study the Bible, receive Jesus, receive the fullness of the Holy Spirit, and learn to walk in Him. Having the Holy Spirit inside of you is better than having Jesus walking beside you. What an honor! What an opportunity! What an adventure! I was looking at particular questions and i came acrossed your post. I know it was in August but I have prayed for you asking for your strength in Gods wisdom. I pray for your son. I ask that you never forget that there is nothing that can ever come before you that hasn’t first come before Jesus regarding you. God bless you sister you are in the everlasting arms of your Father. Hypothetical questions don’t have legs but I’ve asked this question to myself and my wife previously so I will comment: I personally without any doubt would rather have Jesus walking with me in the flesh and I with him! If I’m walking down the street with Jesus in the flesh in a very risqué neighborhood of which has much violence fear would not enter the picture but with the Holy Spirit living in me I have to work out my salvation in fear would enter the picture whether I would succumb to it is not known hypothetically. We have (numerous) Viewpoints on the word of God so many that it’s disgusting even within the Pentecostal teaching well brothers and sisters there’s only one right and if we all got the Holy Spirit with all these different views I don’t think I would have all these different views if I walk with Jesus in the flesh, I would ask him what the truth is problem solved! People have mindsets developed from their childhood etc. hearing the Holy Spirit is a very consecrated, intimate, Delicate, journey. I can hear 20 people on the same subject all claiming to hear the Holy Spirit with different views, I walking with Jesus say hey master what does this mean and I know the truth without a battle. I realize it is the way it is in praise Jesus it is but each one of us has to work out our own salvation and we all know how difficult that is in this goofy world We are in. We have such division in what we call the body of Jesus and we all know that is not his will but it is still reality, many false teachers, much deception, not happening if I’m sitting in a room across the way talking to Jesus personally! That’s my take brothers and sisters, Jesus bless y’all! Keep walking with your head up, greater is Jesus in you than he That is in the world! We need to exhort each other daily in the spirit of love and tenacity to become over comers through the blood of Jesus and the word of our testimony! (Great need today, encouragement to press forward in the truth, laying hold of the word of God, trusting Jesus to be the friend that he is to his people! Thank you for this refreshing topic. This the dispensation of the Holy Spirit working with Man fulfilling the purpose of God here on earth. The dispensation of Jesus walking with man on earth has come and gone. Jesus said that it is expedient that He might go away ,so that He might send the comforter the Holy Spirit. Please, I appreciate your ministry. May The Lord strengthen you the more. This why he want us to renew our minds.. I too would rather walk physically with Jesus also but that is not what He said. Jesus said this is better, and it is the will of God. There are many different views on God today, but there were many different views about Jesus during His walk. People will believe and do what they want no matter what the situation. If Jesus is walking next to you, how will he walk with me ? If I understand you very well, he should be your guard for 24/7. When will he be able to be my advocate(lawyer) with God the Father, if I need to confess a sin 1John 1.9 – 1 John 2.2 when he is already with you 24/7? Maybe when he is off duty with you!!! Faith is the Word of God and when you act on it, you believe. Believe on what Jesus Christ said. Peter, John and the other disciples we with Jesus 24/7 for more than 3 years and not until they were hit with power by the Holy Spirit (Act 1.8, Acts 2), in the absence of Jesus, were they able to do something on their own. Now, look at Paul, met Jesus only once on the way to Damascus, and by the power of the Holy Spirit, ‘picked up’ where Jesus left. What a persecution he faced yet relied he more on the Holy Spirit 24/7. 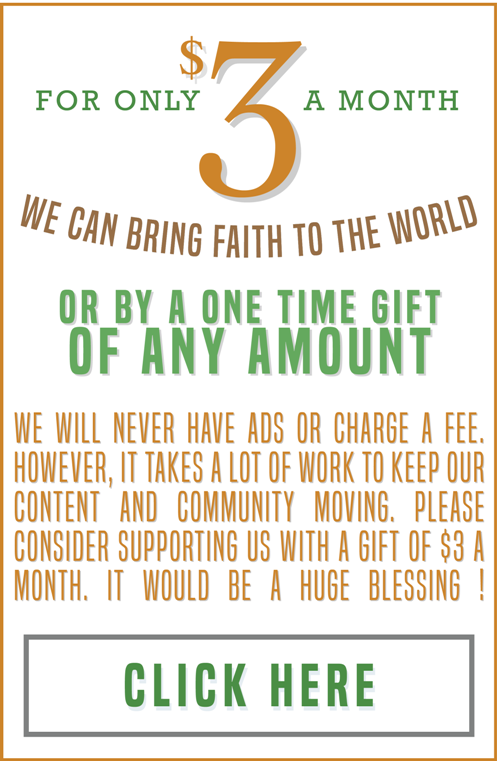 Do the same and you shall experience the truth of the Word of Jesus as in John 16. Jesus is with the father until the day He shall appear in His second coming, the Holy Spirit is inside everyone that not only believes but accepted Jesus Christ a the Lord and Saviour. Enjoy the presence of the Holy Spirit. 1. Convict us of our sins- when Jesus was on earth the bible does not record of the disciples being convicted of their sins, rather it was when the Holy Spirit came. 2. Lead us into all truth. 3. Bring us closer to GOD. 4. Comfort us and be our advocate, helper, mediator, and intescessor. DIG INTO THIS TEACHING MSG! Am so blessed and enlightened ..whenever I visit this site to study the articles thanks and God bless.. This is powerful to have Christ in me the hope of glory. Thank for sharing this powerful script. Thank you so much for this refreshing exaltation . This is the dispensation of the Holy Spirit, that represent Christ in everyone who believe in Him. Based on this Jesus said to His deciples , that the works that He has done we shall do and greater works we shall do because He goes to His father ( Jn. 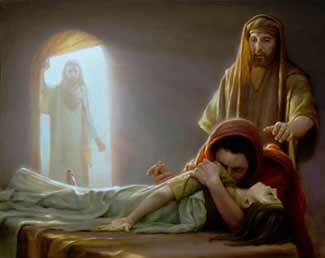 14: 12).Promising to send a comforter in His place, the Holy Spirit. Thank you for the insight. We be well prepared to receive the Holy Spirit to the measure we can be able to do exploit. The more we make ourselves available by cleaning ourselves the more of the Spirit of God fills us up.